I needed a real vacation. I had not slept in a strange bed in ten years aside from a two-night stay at Baptist Hospital after surgery, five nights in a Homestead motel, a few out-of-state conferences, and a weekend cruise to Bimini. Not enough pampering to slow my engine and push me off my perpetually-moving treadmill. True, I had just published my book after seven years obsessively writing, editing, and rewriting. Now I had to promote it and start writing my next. True I had to finish my non-profit projects as proposed and funded. True I had my online video show to produce. And there was this painting I had started that needed to be completed. Admittedly, I am my own taskmaster and as such carry the whip, but in truth, there was no letup of my work in sight. And I was exhausted, burned out and cranky, ready to explode at the slightest provocation. Stewart finally insisted that we take a trip, anywhere. “I can’t sit by any longer and watch you self-destruct and wipe me out along the way. We need a change of scenery. If you won’t go with me, I’ll take my vacation without you,” he told me, and meant it. The mere thought of lazing on a beach or beside a pool, reading a book, sipping a frozen daiquiri, made me squirm from my image of boredom. “I can’t quit cold turkey,” I thought, referring to my addiction to the fuel that kept me revved. “And be bombarded with stimulating sights and people. I get it,” Stewart interrupted, finishing my sentence. He knew when not to argue my logic. He said he also missed the New York buzz. But we didn’t go. I had more and new work to complete. Stewart had a surgical procedure that needed to heal. And more time slipped by. Then, my younger brother called, a return call from three weeks earlier when I left a text message asking if he “did phone”. “Hi. I’ve been very busy. Hiro (husband) and I are going to Brazil in a few weeks and we both have to finish up on things before we leave. So, what are you up to?” he asked, without mentioning my cryptic text. He wasn’t interested in details, but when I mentioned a desire to visit, he came up with a plan. “Why don’t you come to New York when Hiro and I are away? You can stay in our apartment,” he generously offered. So, with no excuses left, and the early-fall, nice-weather timing perfect, we coordinated the dates and Stewart and I went to New York. “Spacious apartment in Greenwich Village, walking distance to and from everywhere. Can’t get any better than that. This was the vacation I said I needed. And it sort of was except it wasn’t really a vacation. I worked. I carried my video camera wherever we went, ready to capture the characters and events of the moment. We saw a Broadway show and I blogged my review. My microphone broke, we shopped for a new one. We walked miles and miles for hours and hours at a time. When the trip was over, I was more tired than before we left and at home, I now felt obliged to catch up on the work I left behind. Within two days I was back on my treadmill. Then came a shocking family call. One of my cousins, younger than me by five years, unexpectedly had passed away. She was the first of us 25 grandchildren to die and the reality of my own mortality suddenly hit hard. And, the only way I knew how to deal with tragedy and loss was to bury myself in more mind-occupying work. That is until last week. While taking a shower after a long, strenuous bike ride, I was overcome by a wave of nausea. I braced myself against the wall as my legs buckled. I managed to grab my t-shirt cover-up and hobble to my bed, but lying down caused the room to spin. “Make believe you’re on a boat,” I told myself, but I wasn’t. Fifteen minutes later, ignoring my dizziness and jelly legs, I went to my computer determined to continue writing the final grant report I had started, willing myself to concentrate as every head movement brought on another dry heave. When my friend Ruth called, I listened mostly, commenting only when absolutely necessary. She asked me twice if I was okay. Each time I said I was fine. The third time she asked, I asked her why she was asking. “You’re slurring your words,” she said. Then, I told her my symptoms. “You may be having a heart attack or a stroke. Don’t waste any more time. Go to the ER immediately,” she ordered before she hung up. “I need to go to the hospital,” I mumbled, loud enough for Stewart to jump up from the couch and follow me to the bedroom where I collapsed on the bed, lying perfectly still to avoid another wave of nausea. “Shall I call an ambulance or would you like me to drive you?” he asked, grabbing the car keys from the dresser, ready to help me up and take action. “I can’t go yet,” “I need to get dressed,” I groaned. “You are dressed,” he exclaimed, mistakenly thinking my long shirt was acceptable attire to wear outside. “No. I can’t go out this way,” I repeated weakly. “You’re going to the ER, not a fashion show,” Stewart retorted, his tone firm. “Okay. Tell me what you want and I’ll get it for you,” Stewart offered, concern written on his face. “Slacks, a shirt and shoes,” I uttered with minimum movement. I was happy I had taken a shower and put on clean underwear. “No, not that shirt,” I said as he brought over the first one he reached for. “The one next to it. The blue one that goes with my pants,” I murmured. “No, not the lace up shoes. The blue sandals,” I said, requesting that he go back into my closet for the correct pair. Stewart tossed my clothes on the bed and held his hands up in despair. “For someone who is in the midst of a heart attack or stroke, your priorities are crazy. So put on what you want and let’s go,” he stated with a mix of frustration, anger and worry. I somehow managed to slide my legs into my pants without moving the top part of my body. I had to sit up to put on my shirt and held on to the dresser as the room spun, my vision blurred and my head pounded. 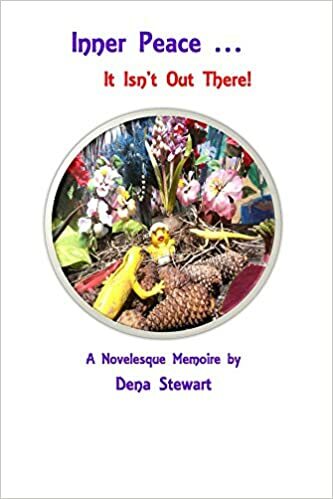 I slipped on my sandals, and with Stewart’s help slowly inched my way to the car, grabbing my shoulder bag off the doorknob and cell phone from the table. Traffic was heavy. Doubled over with my head in my lap, holding on to the seat as every bump jarred my equilibrium and exacerbated my motion sickness, I loudly moaned the entire ten minute ride to the hospital. When we arrived at the entrance to the ER, Stewart parked the car with me still in it and ran inside to get a doctor. The best he could do was bring back a wheelchair. Unable to stand or raise my head for that matter, Stewart partially lifted and dragged me into the chair and pushed me into the waiting room area, told the desk clerk I needed immediate medical attention and gave him my insurance card. Then he left to park the car. I was in the same position, unattended to, when he returned. Only one doctor was on call. When he finally appeared, more than ten minutes had elapsed and I was pleading with the desk clerk to get me help. I was sure I was dying and if I did, I wanting him to know that it was the fault of the hospital for being understaffed. An EKG, CT scan, bloodwork, urine analysis, and physical examination ultimately determined I did not have a heart attack or stroke. Five hours later, after depleting an IV bag with saline solution for dehydration and a double dose of Meclizine for nausea, I was released and sent home. Having not eaten the entire day, I nibbled on a cracker, then went to sleep. Drained from the previous day, I awoke twelve hours later, still unbalanced when I got out of bed. I called my GP and saw her that afternoon. She reviewed my tests and diagnosed what I had as a severe episode of vertigo. “It may happen again or it may not,” she said. She didn’t know the cause of its onset. Of course, I believed that stress and exhaustion were the reason for my unexplained medical emergency. I believed stress and exhaustion were behind all my other wake-up calls, as well. “So, what are you going to do now?” Stewart asked, in his “been there, heard that before,” tone. “I’m going to develop a sense of faith that my life will happen the way it is supposed to. If what I want is meant to be mine, it will be. It is isn’t meant to be mine, no matter how much I want it, it still won’t be. So if I devote my time and energy to things that make me smile, the rest won’t matter. I will maintain my faith at least until the end of the year, less than two months away. By then, I will have replenished my strength to handle the things that aren’t gratifying and decide if they are worth the effort,” I said, raising my right hand as I took this vow. And I am reading this out loud to affirm my commitment. Please, if I complain about too much work or petty inconveniences, or overdramatize an insignificant offense, tell me I am compromising my integrity. I’ll understand and get back to faith. Thank you.